Soon your kids will be able to participate in the FREE Disney Summer Play Days. 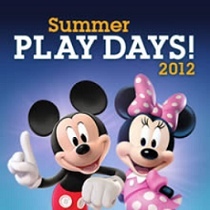 Starting Monday, July 23rd at 2pm, just visit the Disney Store for the Summer Play Days! Kids can visit everyday from July 23rd – August 26th. If they attend 4 events they receive a special gift!